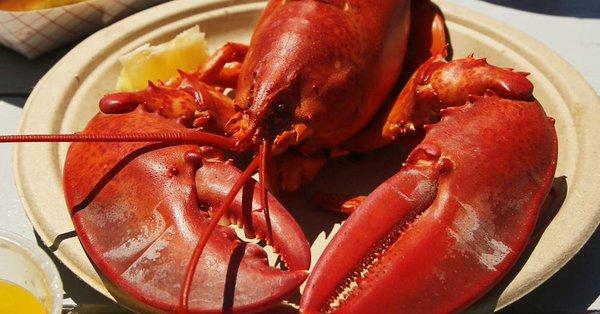 A Maine lobster restaurant is under investigation by state health inspectors for attempting to mellow out lobsters with marijuana. Charlotte’s Legendary Lobster Pound in Southwest Harbor will remain open to customers even as the investigation is ongoing but will stop serving lobsters sedated with marijuana. The restaurant owner, Charlotte Gill, is a state-licensed medical marijuana caregiver. Gill admitted on Friday that she recently started offering “smoked” lobster meat. She said she hoped to resume sales around mid-October. Gill also admitted pumping marijuana smoke into the water in some of the lobsters’ enclosures. Emily Spencer, a spokesperson for Maine’s Department of Health and Human Services, meanwhile wouldn’t confirm whether the state specifically asked Gill to stop selling lobsters sedated with marijuana. Seeing lobsters struggle with so much pain while being cooked has always been a contentious issue for some people, such that there have been many efforts to find ways to reduce lobsters’ pain. Gill for her part has argued that the kinder killing method for lobsters will make them happier, and that happier lobsters would translate to better tasting meat. Wait, so she's an animal rights supporter who boils lobsters alive for a living? The world just keeps getting weirder.